Thank you <3 .I'm glad you liked it! Great job!! I think this game in mobile would be good. You guys should do it!! The first entry I saw...and you guys made it really fast. Good Luck. I just had a little difficulty in the gameplay that what I really had to do...or where to pick from. You could give an indication of some kind. Going to the first floor from ground was also tough as I did not know that I'll have to press Up key for that. Overall you guys did really well. Thanks for the comment. Yeah, we know of the lack of information from where to get or store the items. The video tutorial on story mode helps with this, but we didn't put it during the game itself (like an arrow pointing to the fridge for example), and we should have put it on . We are thinking of making a online mode, with this, possible updates are coming. That's pretty awesome! 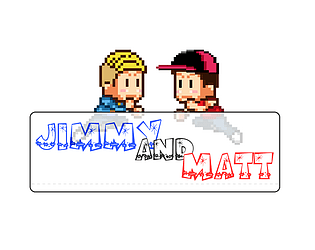 Did you guys do the pixel art? That's fantastic! Thank you <3 Most of the arts we sought inspiration from some internet arts, and we made ours, based on them.